Thursday, September 14th with Bruce Campbell Live in Person! SYFY and Alamo Drafthouse are partnering to present the SYFY25 Screening Series, a fun-filled retrospective of genre classics to celebrate the network's upcoming 25th anniversary. As part of that screening series, we've put together another amazing screening event: EVIL DEAD 2. In the woods. With America’s finest leading chin, Bruce Campbell, in attendance. 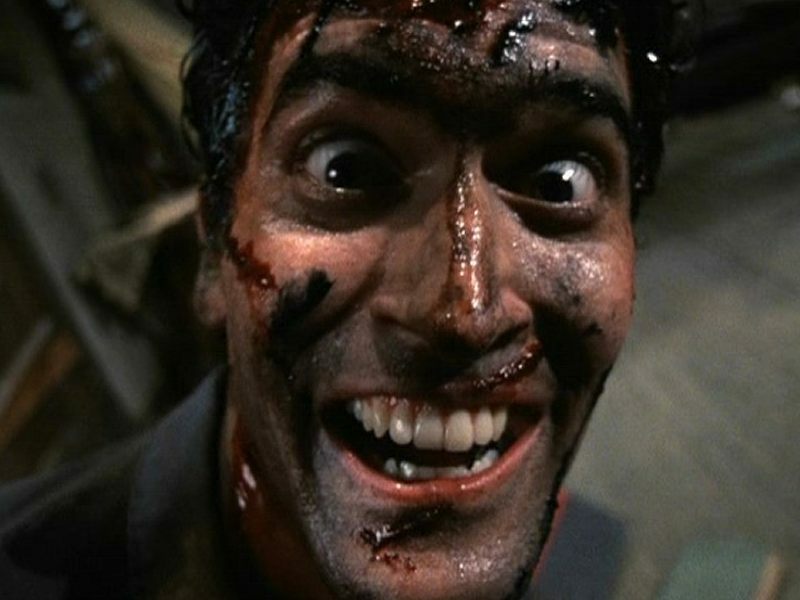 As you surely already know, EVIL DEAD 2 is celebrating its 30 birthday, this year, and in honor of that momentous occasion, we’re bringing two great tastes that taste great together for an unforgettable nerve-shatteringly immersive cinematic experience! Sure, you’ve seen EVIL DEAD 2 (more than a few times, we’re guessing). But have you ever watched it with Ash himself, live and in-person… in the terrifying pitch-black of actual spooky old WOODS?! “Groovy” doesn’t even begin to cover it. Your ticket not only includes Sam Raimi’s masterpiece of slapstick terror projected in all its brutal and hilarious glory on the big screen but also your very own copy of Bruce’s new book, HAIL TO THE CHIN (every copy of which will be generously provided by Austin's own BookPeople) with a chance to get it signed by the King himself — plus other gory-good surprises we can’t reveal just yet. What are you waiting for? Use your one good hand and click your way to a ticket now. They don’t cost that much… ONLY YOUR SOOUUL!! And, pssst: tickets are on sale now. For all of them. In 2009, Sam Raimi returned to his true passion: throwing actors into walls and drowning them in goo. JOSIE AND THE PUSSYCATS is not the movie you think it is.